What do you think of the current state of indie publishing? What would you like to see happen to the industry? Any advice for other authors when it comes to publishing and promoting? This entry was posted in Questions 3 and tagged amazon, authors, books, ebooks, indie authors, opinions, publishing, self-publishing, state of the scene, writers, writing. Bookmark the permalink. 1. What do you think of the current state of indie publishing? I think everyone is struggling to get a book noticed. But I’m still reading books, still interested in books. 2. What would you like to see happen to the industry? I’d like to see a better system in place to alert people about new books. But please don’t ask me what that might look like. 3. Any advice for other authors when it comes to publishing and promoting? 2. That would be awesome. Maybe an indie only New Release list. Honestly, I always wanted to see if Amazon could do an indie Top 100 list for various genres since there are so many of us. 3. I’m seeing more and more people go for publicists. I would love to see Amazon do an Indie Top 100 list! What a great idea! Also, a Pre-Order Top 100 because it gets ridiculous that those can spend 6-12 months or more on a New Release list. I believe that readers, who love stories more than they love simply knowing what everyone else is talking about, are being turned off by the traditional publishing houses’ current risk adverse strategy of primarily promoting only books that have been written by authors with prior built in name recognition or that are carbon copy retellings of stories that have either made millions already in either book or film format. This gap in perceived supply continues to serve as a growth opportunity for indies. The challenge, however, remains reaching would-be readers while establishing yourself as a credible author and not someone simply out to make .99, coupled with a limited distribution model. 1. Overall, I would say the indie publishing market is only growing stronger. 2. I would like to see more indie success stories like the Martian or Wool if only to grow the population’s awareness of how great indies can be. 3. While we may pride ourselves on our independence, we don’t have to go at it alone. Find a reliable partner or two to help with things like editing and promotion. Nicely said. I do hope more people recognize indies as an option. That perception of indies only being out for a quick buck is still around even though there aren’t as many ‘factory authors’ churning out books with no quality. I wish there were more tools available for indie authors that didn’t require taking out a loan. I do wonder what the last indie success story was. Also if those that made it to the big leagues are still there. I forgot the name, but there was one big success story that was in the news 4-5 years ago. I wondered where she went since I didn’t hear anything and it was like she vanished. Her newest book didn’t have the same positive reaction as the ones when she was an indie, so I wonder if a lot of the indie charm is lost. That could be a big issue. I wish there were more inexpensive tools too. It is a million times harder to make a few hundred bucks as an indie than it is to spend it. Definitely. I used to have a bunch of free and inexpensive promo sites that I used. Many of them disappeared within the last year for some reason. It’s all like being a ghost hunter at times. It seems like every decent tool we have winds up costing us money. I’m not afraid to spend a little, but the results never quite seem to balance that out. There is also no guarantee what worked once will ever work again. I probably couldn’t exist as a published author without Amazon, or one of the other options, so I’m grateful to them. I think the playing field is leveling, it’s not easier on one path or the other. They’re all hard. No idea what I want to see next. Also, those tools that don’t cost us money become popular to the point where it’s a mob scene that readers don’t bother sifting through. I wonder how well the non-Amazon options are doing because I don’t hear about them as much as I used to. I’m still on the fence about if the playing field is leveling. Those who can spend a lot of money tend to have better luck. I may have some assessments after October ends. I have a theory that doing more than one thing at a time could produce something. I think making us spend everything we get is the new norm. I’m about to spend money advertising a free book. That was always weird to me, but you have to promote somehow. Doing multiple promotions at once is definitely a smart move. I’ve been doing that for years by creating overlap. It raises the chance of somebody stumbling onto it more than once. I agree, but this time it’s different titles that will overlap. I justified this as, “I am the product,” but it remains to be seen as to how it works. Interesting technique. Hope it works out and you can report a big success. I’m not so sure at this time, but I’m doing it anyway. I always learn something, even if it’s what not to do. What would you like to see happen to the industry? I would like those who have not seriously thought about the quality of their work to get out. Any advice for other authors when it comes to publishing and promoting? No advice other than it is going to take more money and effort to be heard and discovered. 1. Great point. There seems to be a lot of shouting and that tends to favor the loudest. Those are not always the best too. Sticking to the metaphor, this is why many people shouting about one thing can help. Though, I think blog tours are losing their luster a bit. 2. Blunt, but true. At least they could find a way to improve or fix their mistakes. 3. The bars on those two seem to rise every year. I agree on the tours. Scared not to do them though. Same here. Even a blip on the radar is better than utter silence. Yes. Of course, Susan Nicholls is doing quite well without a tour. That’s awesome. Wonder if it’s the publicist. I think indie publishing is overcrowded, but at the same time indie releases are losing the stigma they once had, opening the market to new audiences. 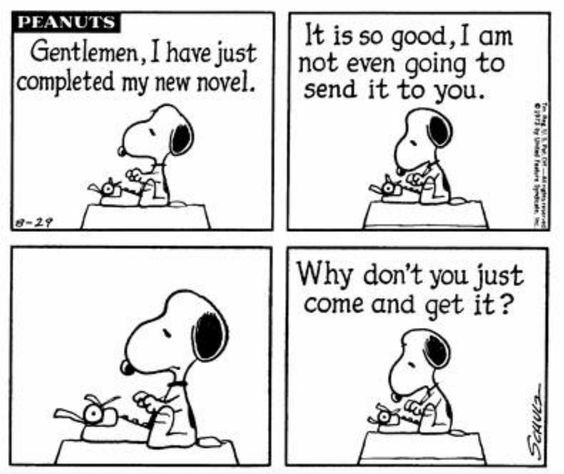 Advice to authors? If you’re going to spend on anything, spend on a professional edit. The other stuff can come after that, but the key is to make sure your product is the best it can be when it hits the marketplace. Also, network like crazy! Always feel free to use a post like this to make another post. 😀 Forgot to put that note on this one. Sorry about that. 1. Very good point about the stigma fading. I wonder if the overcrowding helps in that there are more serious indie authors showing up in the mix. 2. I didn’t even realize there were indie bookstores, but I don’t have much around here. Being primarily an eBook author, I always liked the idea of an online indie library. Not sure how that would be done and I’m still trying to get my book into the local system. 3. Great advice. Though, I do know many who can’t afford that. Are there other paths to take for those who are lacking in funds? Thanks, Charles 🙂 I like the idea of an online indie library too – I suppose Kindle Select is the closest thing to that at the moment. And, interestingly, I’ve had support from my actual local libraries – they’re even running a series of Indie Author Days over the next few months, which I’ll be participating in. True, but I guess I was thinking of one that’s not as corporate as Amazon. Also, it would be only indie. The local libraries seem to try, but there’s more of an interest in local tales or dramas. Fantasy doesn’t get a lot of attention for some reason. Might be changing in some areas though. Never thought of teachers. Good one. Yeah. Definitely beyond my abilities.